Immunogen Synthetic peptide CDWETGHEPFNDPALRGEKDPKSGFDIKVPRRAVGPSS (aa 519-556 in mouse Sra 1b) coupled to key-hole limpet hemocyanin via an internal N-terminal cysteine residue. Cross-Reactivity (Details) may cross-react with CYFIP 2/PIR 121 due to high sequence homology. Purification purified IgG. Azide was added before lyophilization. 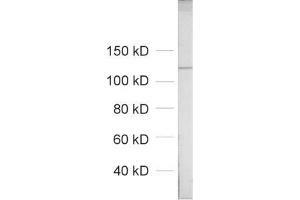 Reconstitution For reconstitution add 100 µL H2O to get a 1mg/ml solution of antibody in PBS. Then aliquot and store at -20 °C until use. Handling Advice Do not store diluted antibody solutions unless you add detergent or carrier proteins such as goat serum, BSA or others. IgG sticks to glass and plastic. 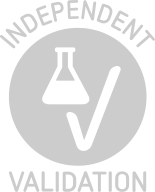 Any IgG solution below 0.1 mg/mL protein will quickly adsorb and denature and thus loose activity! Repetitive freeze-thawing of dilute purified IgG is almost certain to lead to substantial losses. Product cited in: Bozdagi, Sakurai, Dorr, Pilorge, Takahashi, Buxbaum: "Haploinsufficiency of Cyfip1 produces fragile X-like phenotypes in mice." in: PLoS ONE, Vol. 7, Issue 8, pp. e42422, 2012 (PubMed). Steffen, Faix, Resch, Linkner, Wehland, Small, Rottner, Stradal: "Filopodia formation in the absence of functional WAVE- and Arp2/3-complexes." in: Molecular biology of the cell, Vol. 17, Issue 6, pp. 2581-91, 2006 (PubMed).